A few days ago, one of my friends happened to mention in a tweet that he was listening to his old band – Hope Dialect (previously Greenwood) – on Grooveshark. I would not be surprised if many of you, my fair readers, are not acquainted with them despite their having played with a few better known bands (like The Plain White Ts). It was a very sad day when I found out that they were breaking up. This was not just because they’re friends, but because I truly enjoyed their music. In fact, if ever I actually pursued some sort of music performance career I would totally contact Art and ask him to write something for me. I am willing to admit to a bias. After all, they’re both friends and fellow alumni of my alma mater. They are also the ones who showed me that I love the electric violin. Not only does it sound awesome, but it looks awesome too. So, since I’m on this total nostalgic-remind-myself-of-the-wonders-of-greenwood kick I thought I’d share one of their songs on here. Unfortunately since I haven’t made the switch to my own domain yet, this link will actually open it up in Grooveshark. Just thought I’d warn you. What is freedom, what is purpose, what is real? Why did he try so hard? Alone in a construction yard. Not papers, nor stalemates, not the blood on the knife. Not you or your arguments, not even me.. 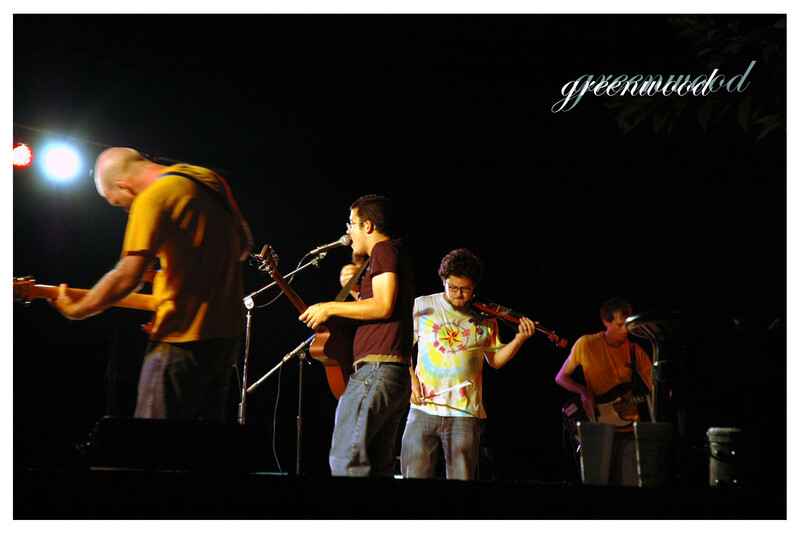 Though you rest in peace, Greenwood/Hope Dialect, I am glad to hear that your music lives on. PS – You can find them on Pandora too.